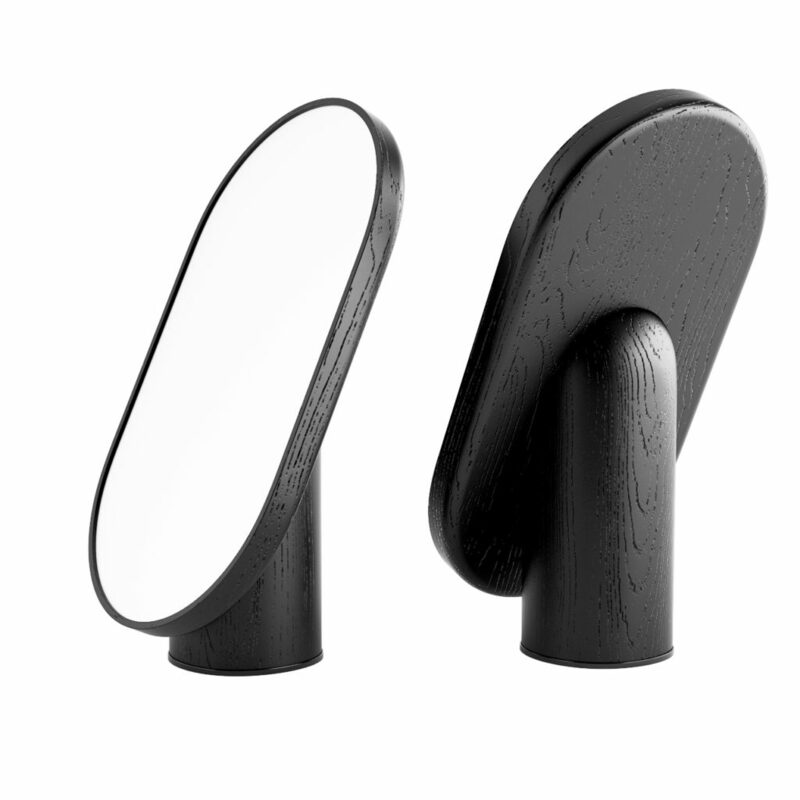 3d model for Woodturn Mirror Black designed by Michal Tokarski in 2017 for tre product manufacturer. Inspired by monolithic figures from Eastern Island, Woodturn Mirror has a sculptural yet reduced form. Made with solid wood, expresses long term quality and majestic stability, allowing for convenient rotation on the table top due to its low centre of gravity. Dimension of the mirror: 19,5cm x h 37cm. The vray and corona files comes with materials in place, ready to render it.